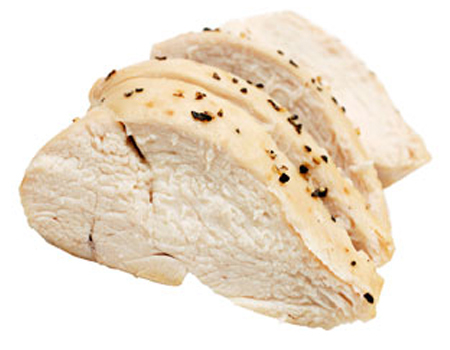 We have first-hand knowledge of the industrial challenges that can arise when slicing cooked meat, poultry and pate. We have therefore designed our commercial meat slicer equipment to ensure a high quality cut. Our meat slicing machinery is easily configurable to meet your portion weight control requirements, and you are able to implement different portioning programmes according to product type. Using our machines, you will benefit from increased throughput, less handling, less giveaway and important labour savings. Your meat or pate can also be stacked and shingled to further reduce manual intervention and aid your packing process. And with our speed control and weigher feedback technology, you can expect consistent portioning within 1% of your target weight. 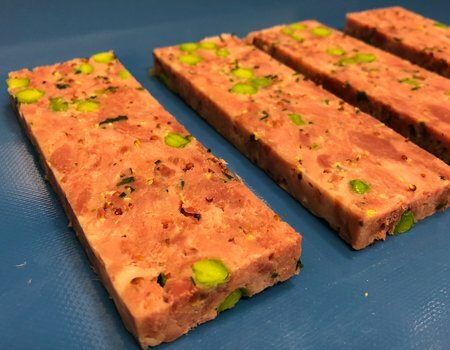 Our ultrasonic portioning machines can handle pate loaves or logs and cut perfectly presented, uniform slices ready for packing. Slicing through cooked chicken products cleanly and efficiently, our ultrasonic machine ensures you are left with the finished product you want. Find out more about how our machines can meet your business needs by following the above links, or contact us now to talk to a member of our team.